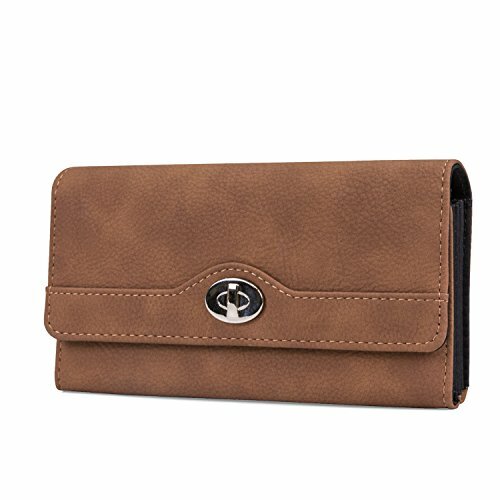 MUNDI FILE MASTER WOMENS RFID BLOCKING: This wallet clutch is the ideal wallet to keep you organized and looking stylish. This is the same MUNDI File Master Womens Wallet Clutch that you have loved and enjoyed and for years but with the added Feature of RFID Blocking technology. Measures 7.5" x 4" x 1.25"
STYLISH AND FUNCTIONAL: The Mundi File Master Womens RFID blocking clutch wallet is the perfect wallet for women. With function and style combined into this compact wallet clutch you are ready to take on the day. Don't wait any longer, protect your identify and with the Mundi File Master Womens RFID Blocking Clutch Wallet Organizer!